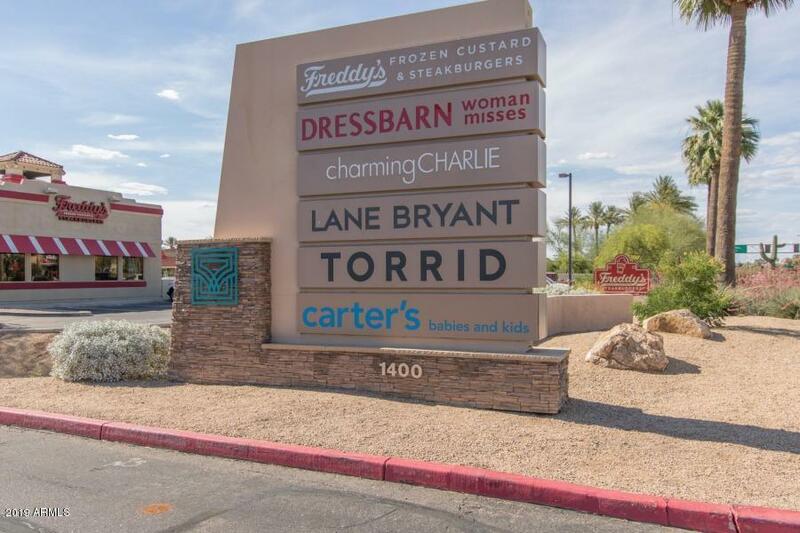 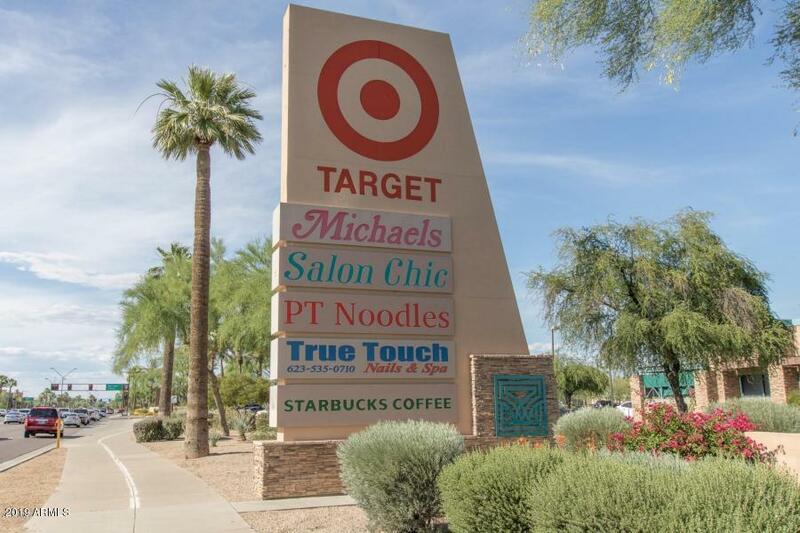 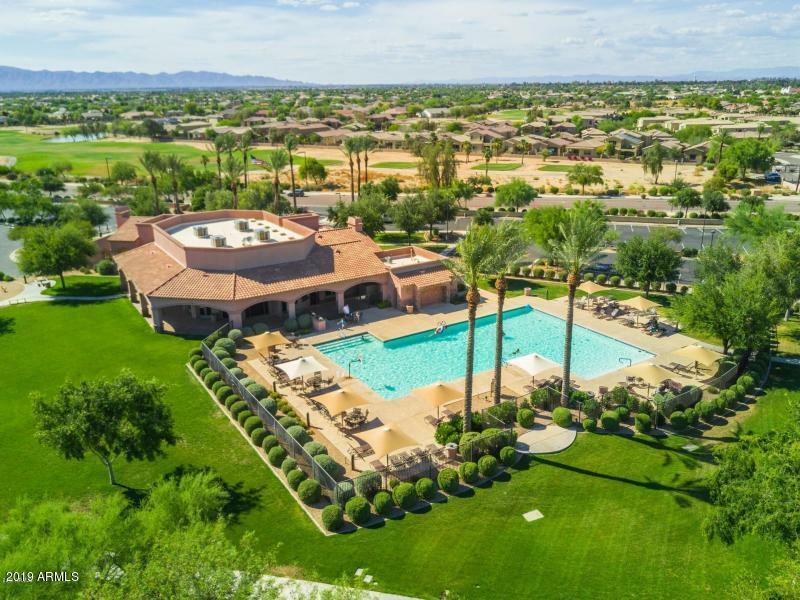 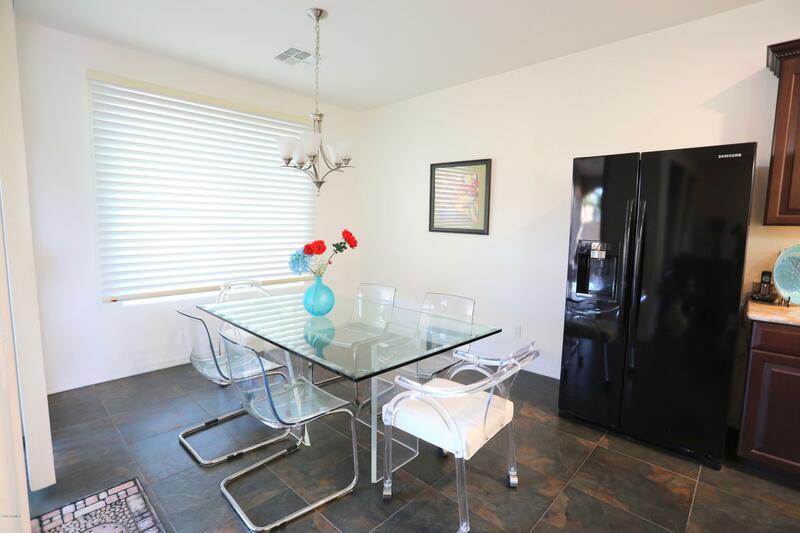 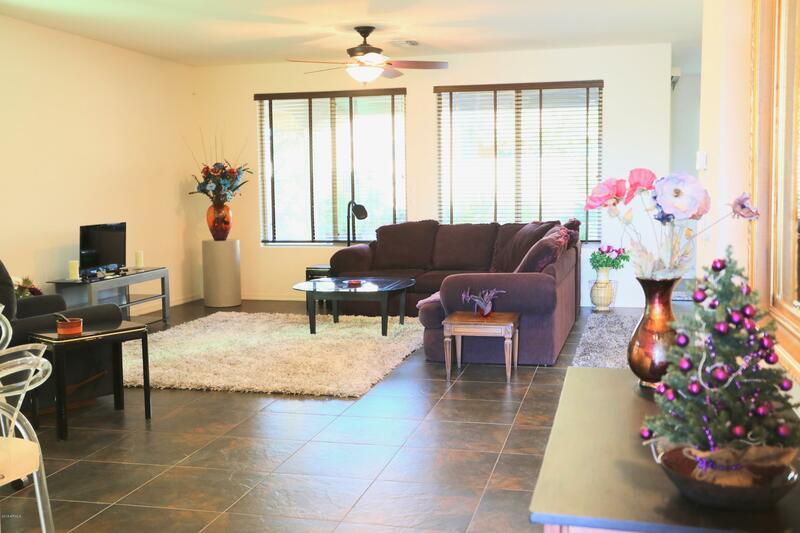 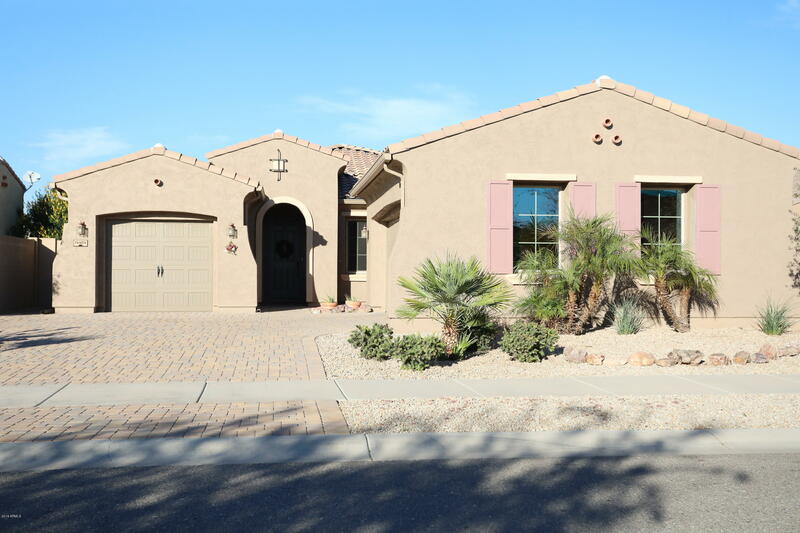 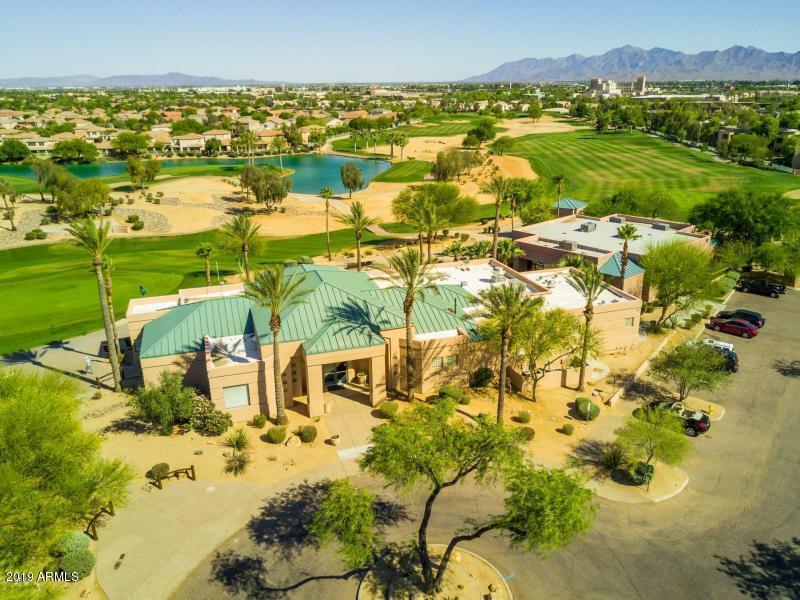 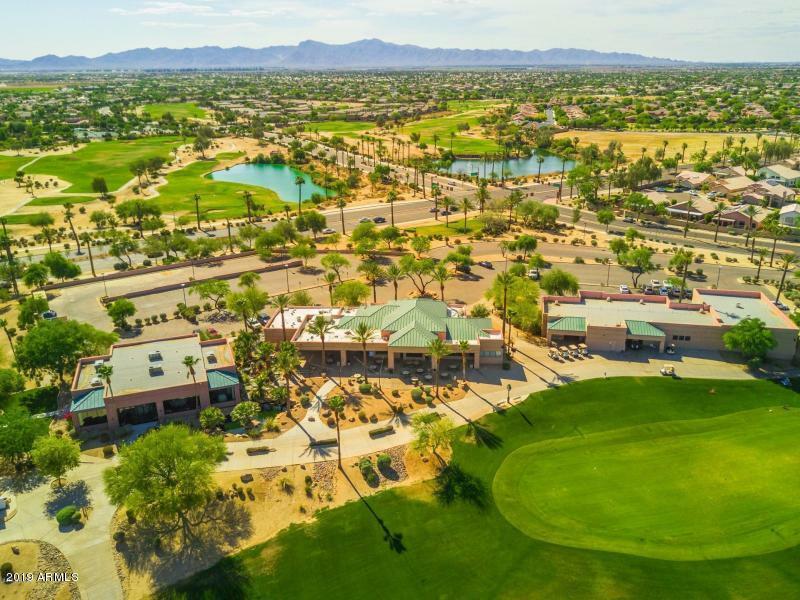 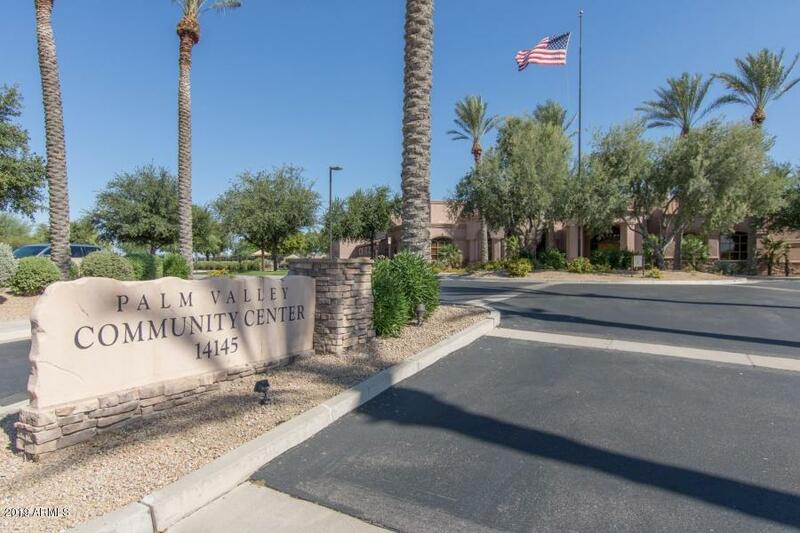 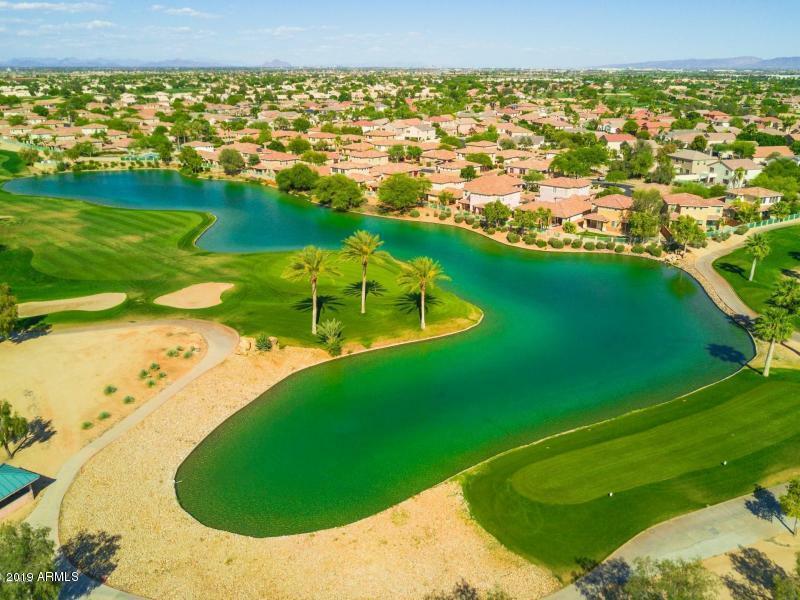 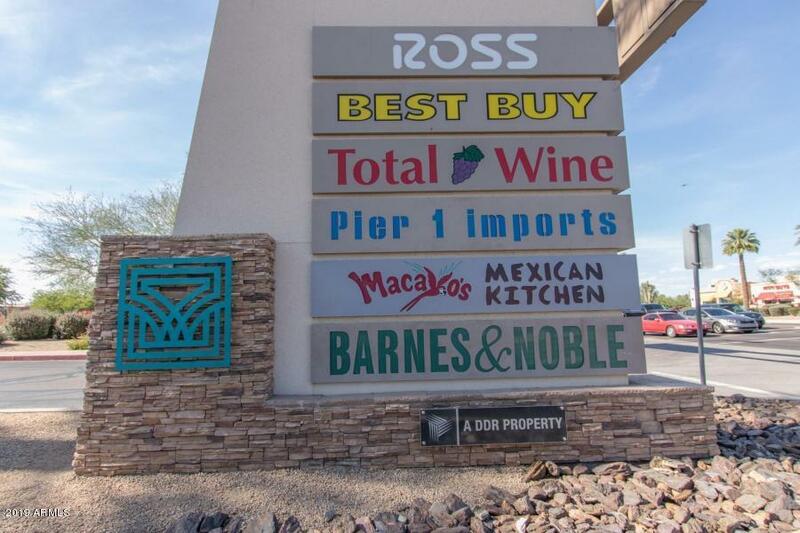 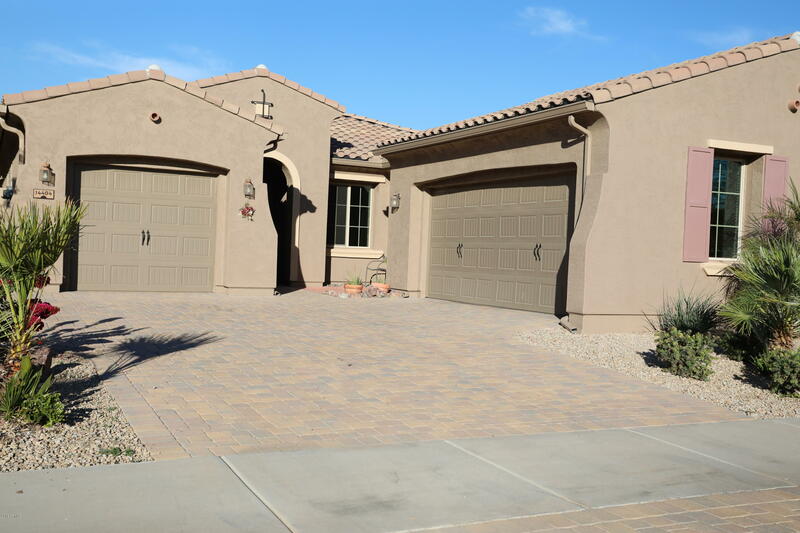 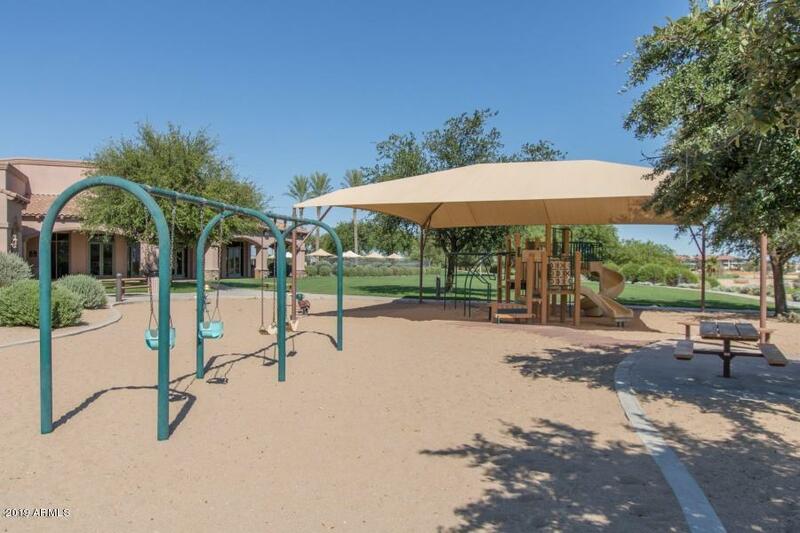 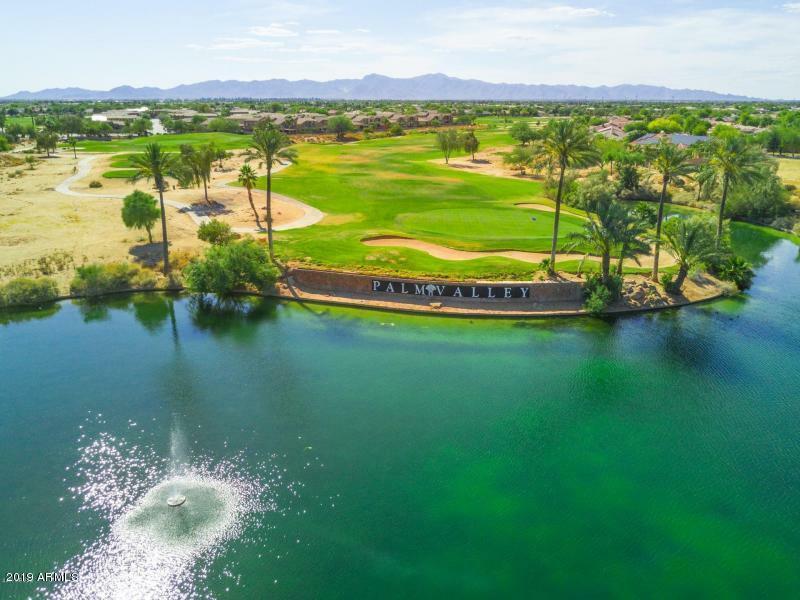 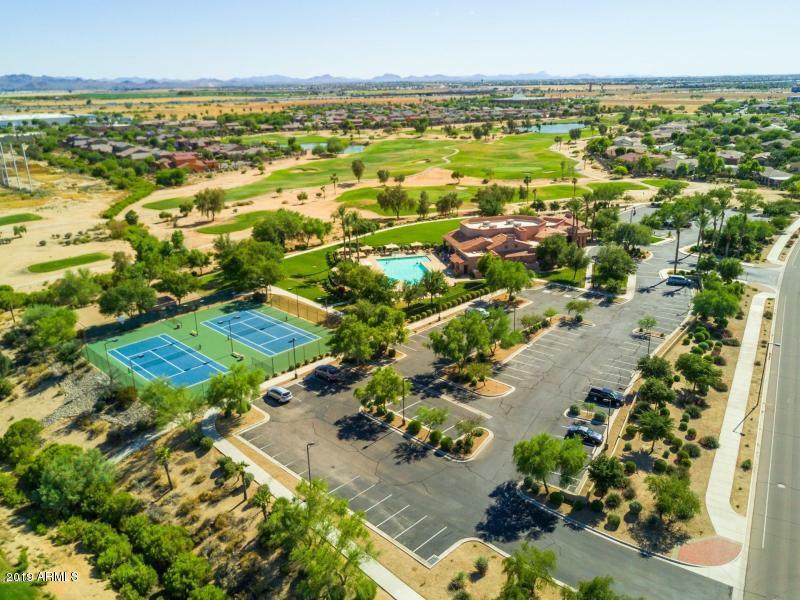 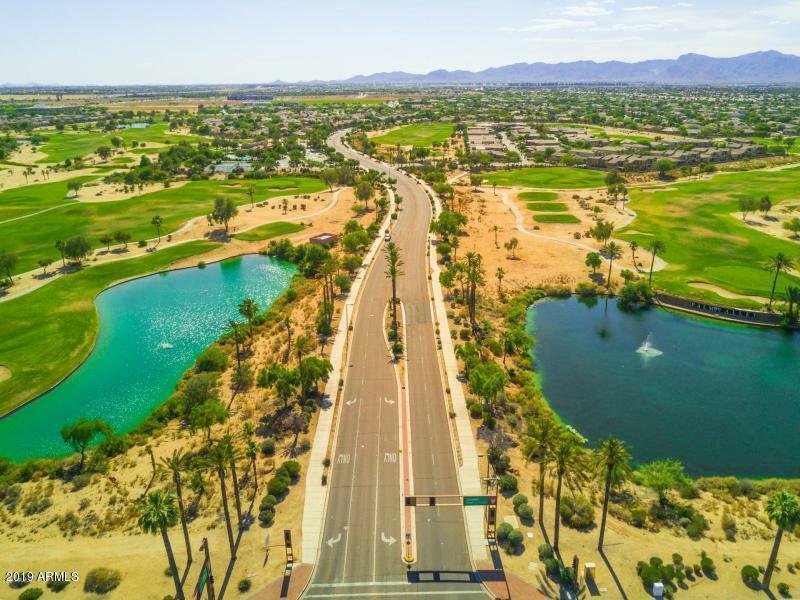 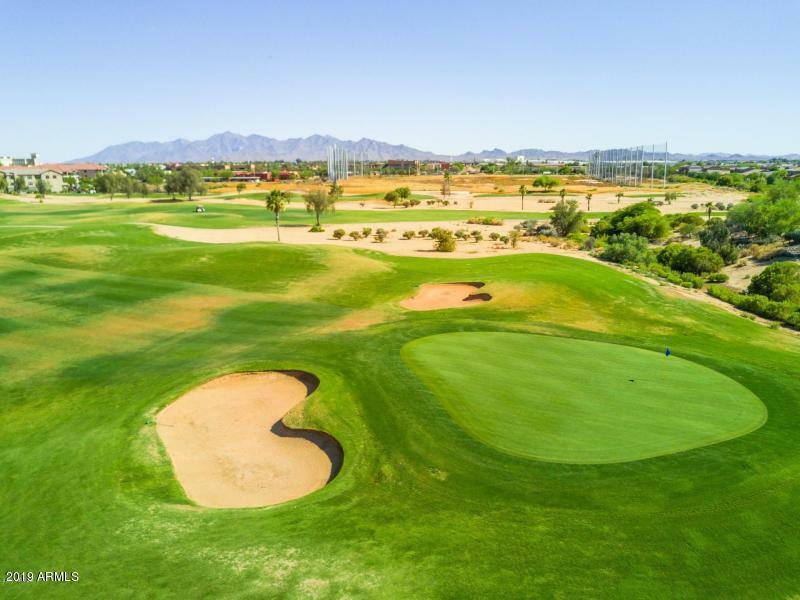 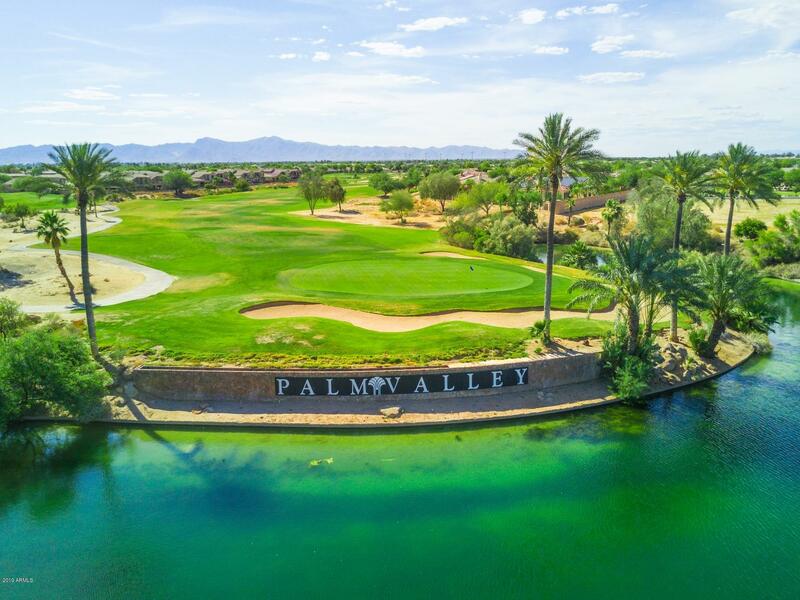 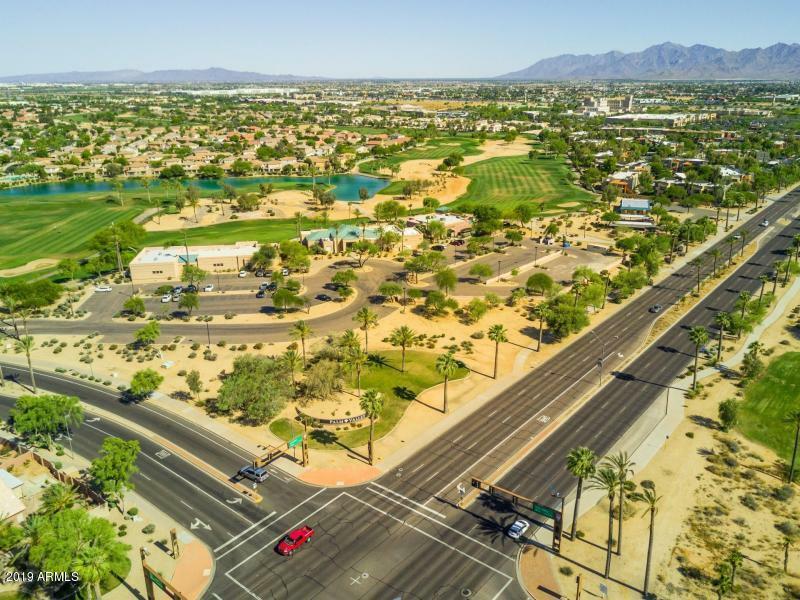 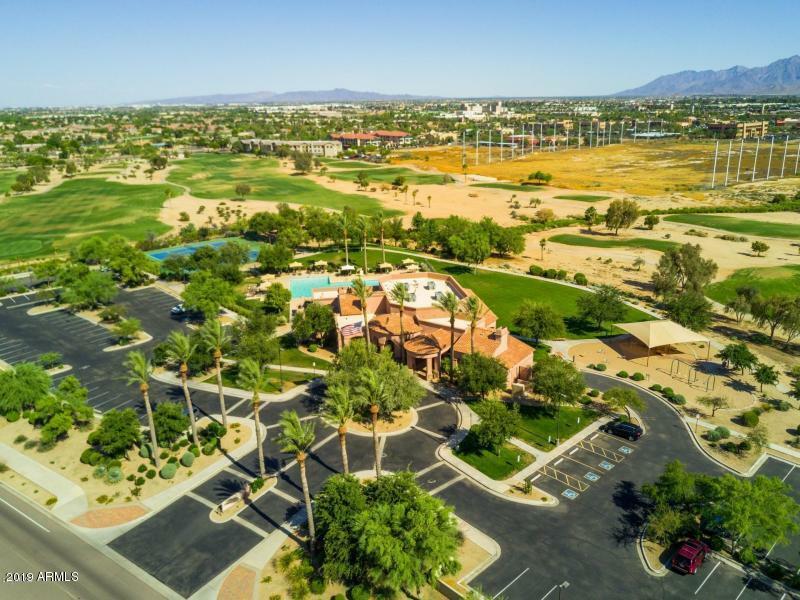 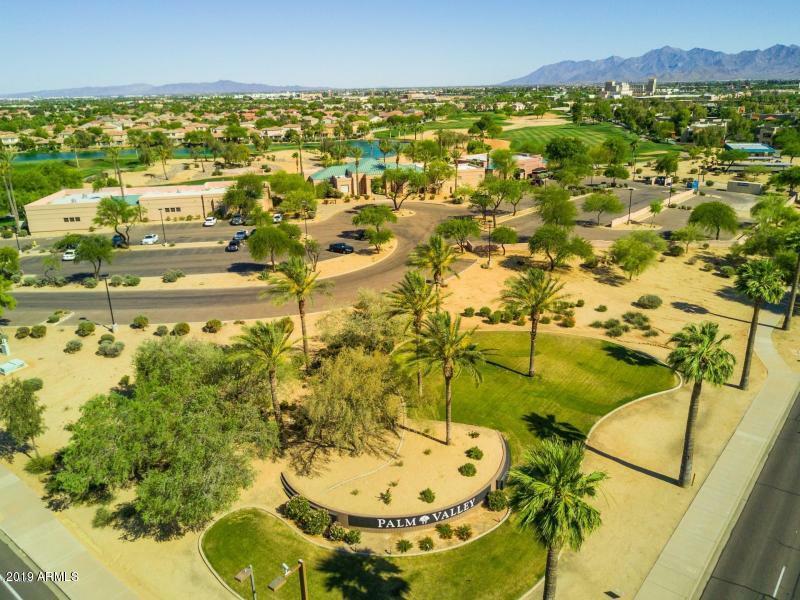 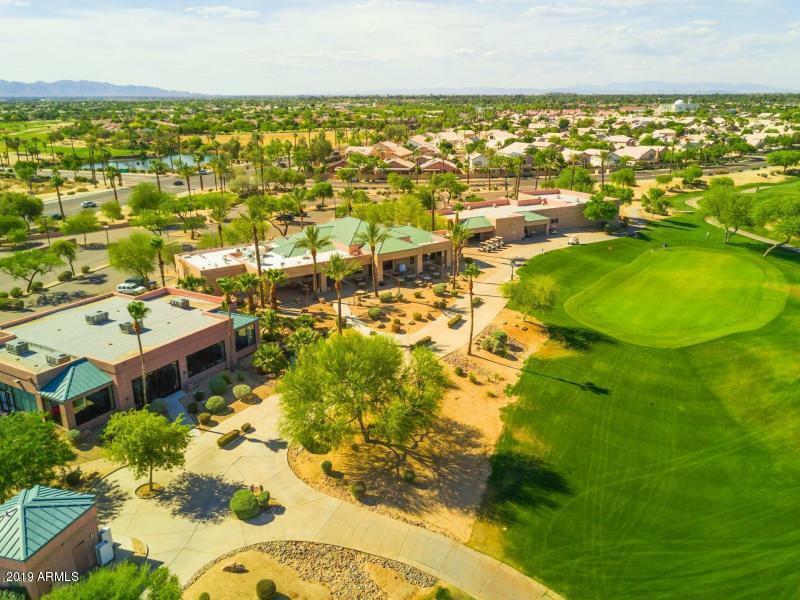 Located in the beautiful, gated community of Camelot at Palm Valley! 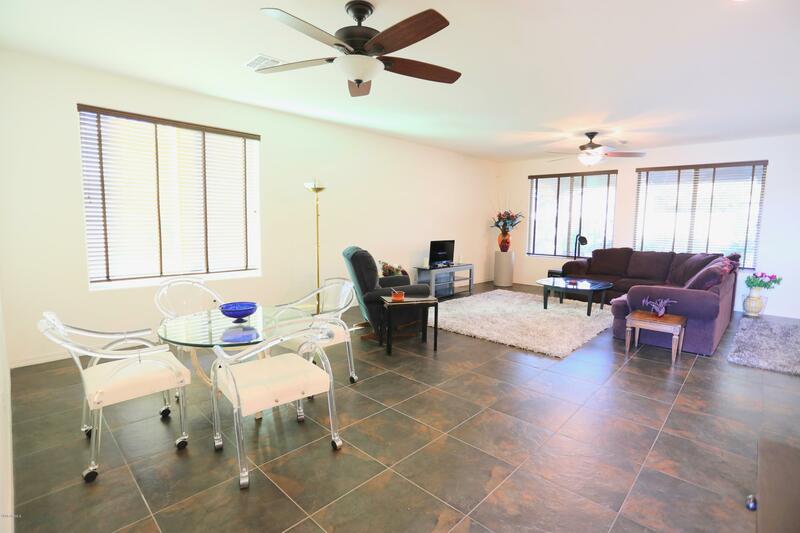 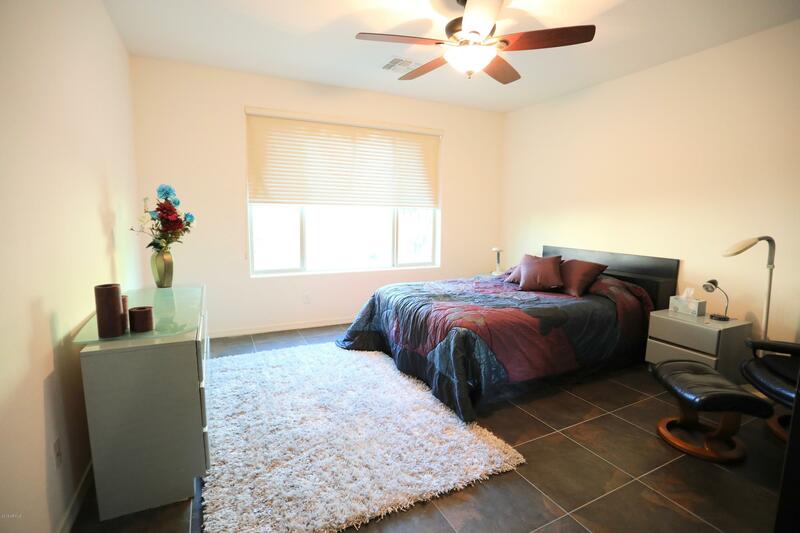 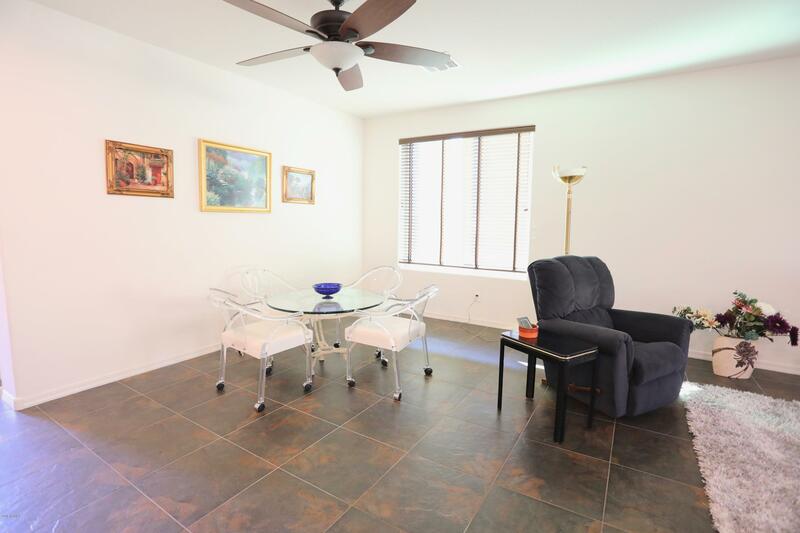 OWNED solar, ceiling fans throughout and upgraded tile flooring. 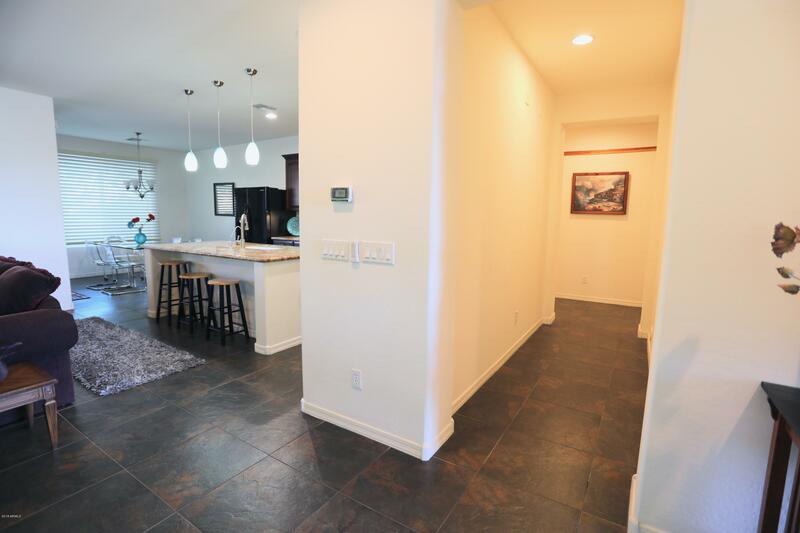 Great room floor plan plus 4 spacious bedrooms, 2.5 baths and 3 car garage! 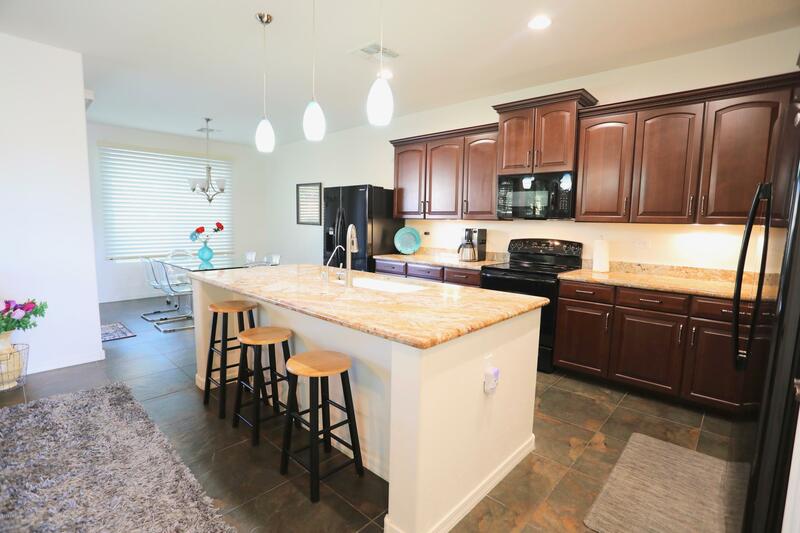 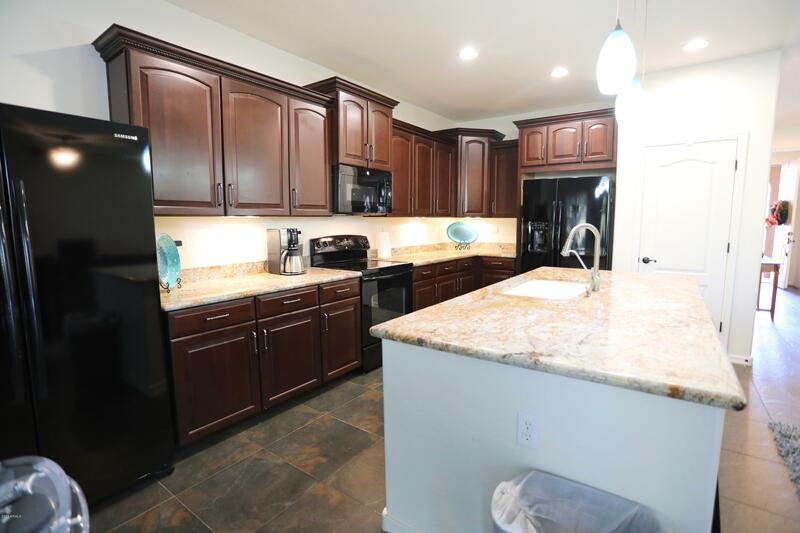 Kitchen with island, granite counters, smooth top range, refrigerator, pantry, breakfast bar, and eat-in area. 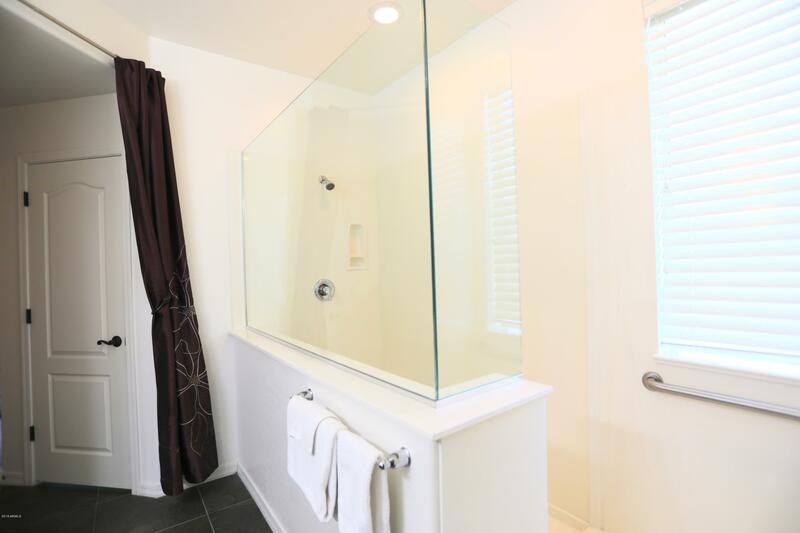 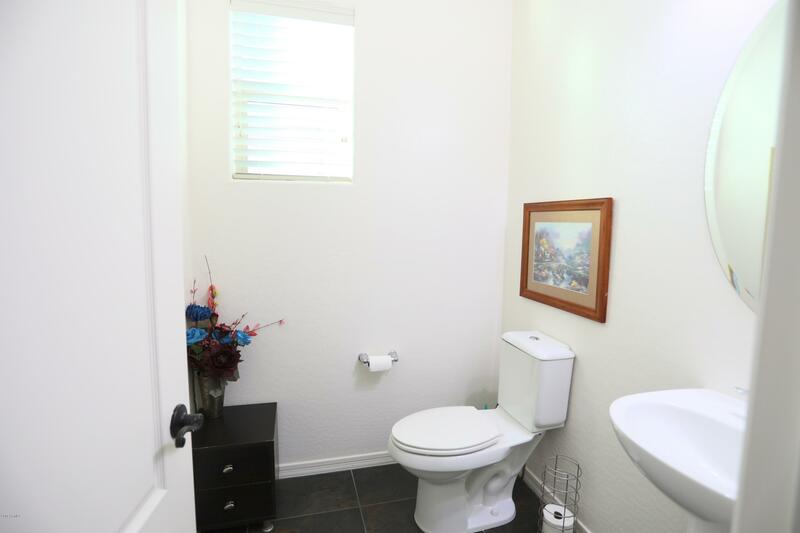 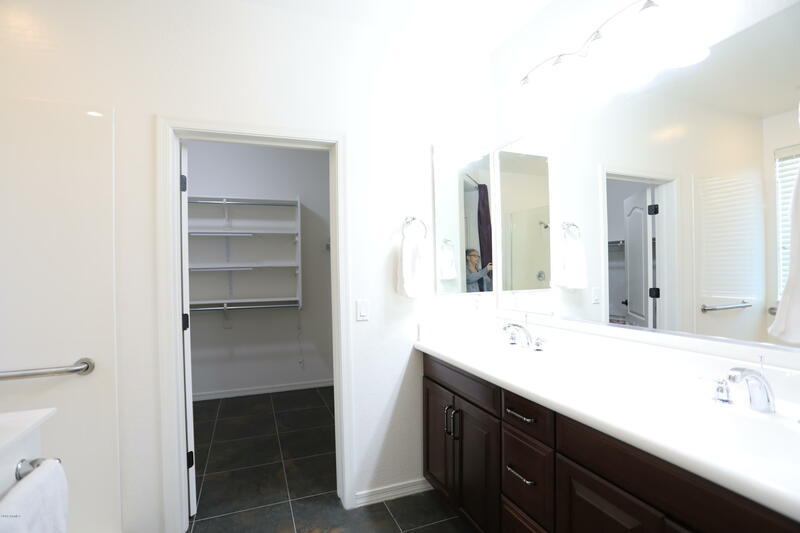 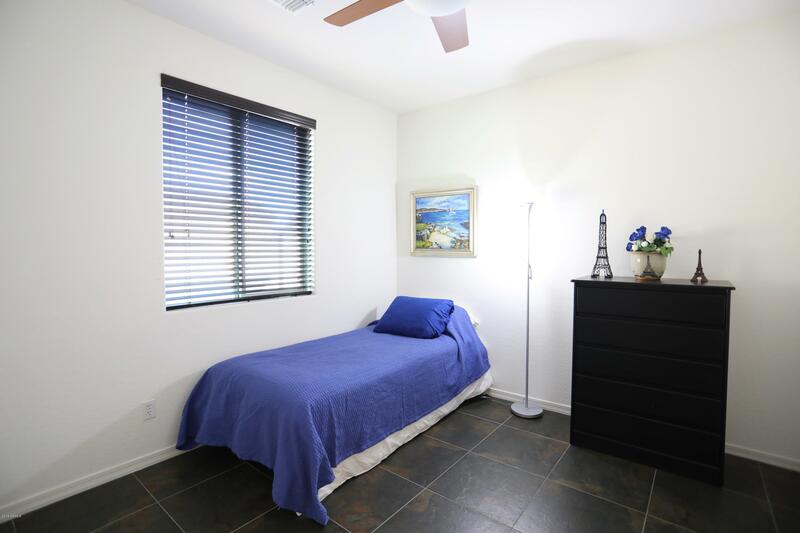 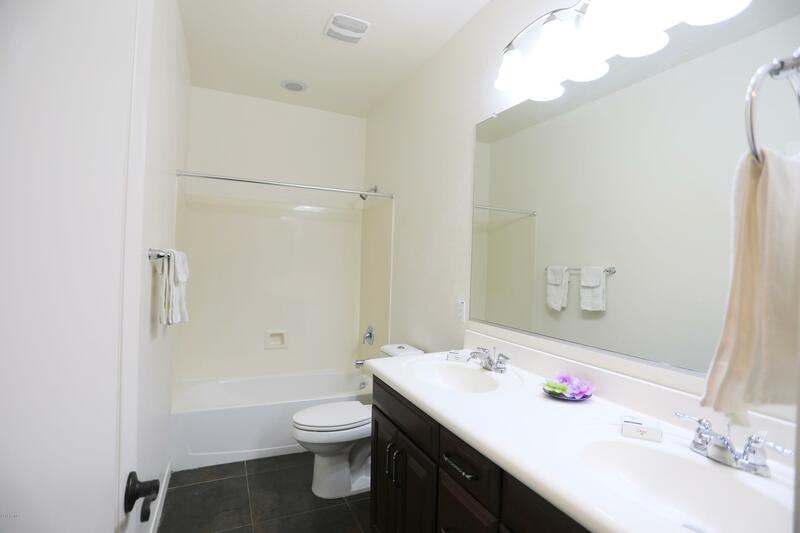 Master suite with large walk-in shower, double sink vanity, and walk-in closest. 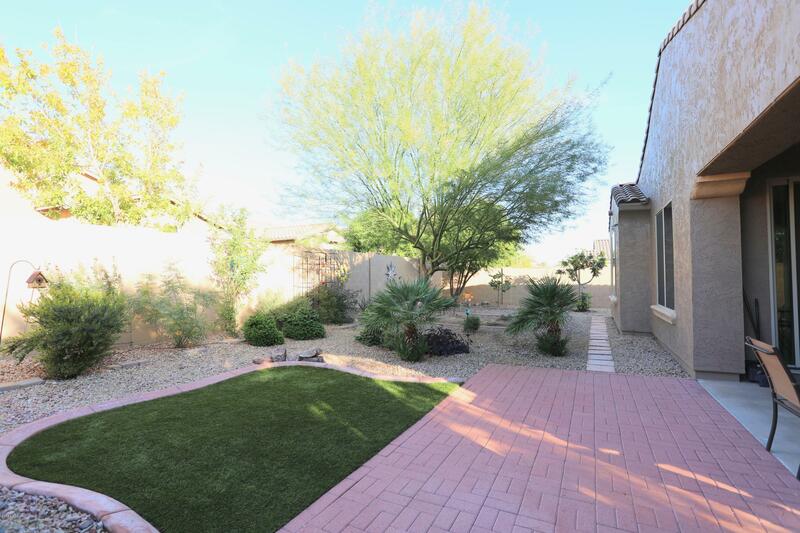 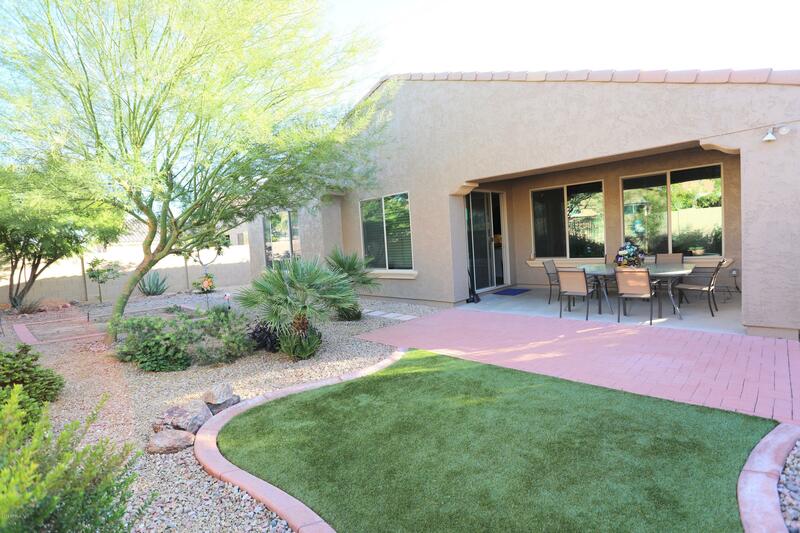 Backyard with easy care synthetic grass, covered patio plus additional pavered patio area. 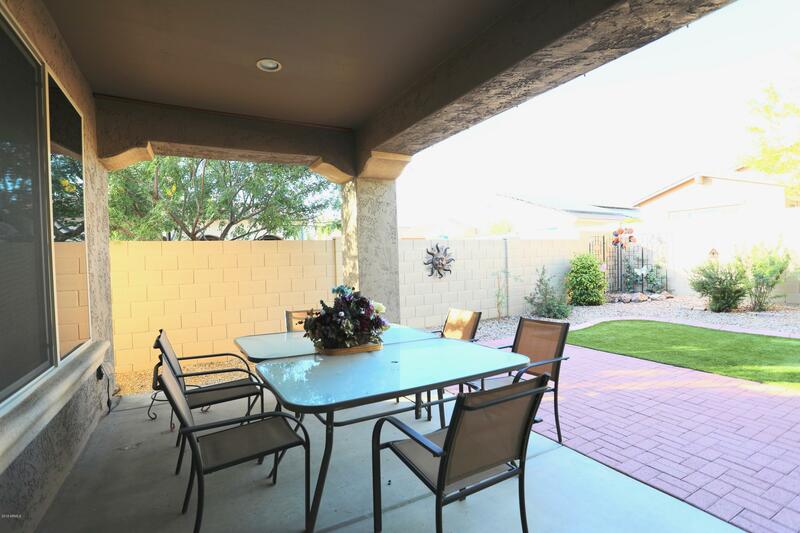 Water misting system installed on the covered patio. 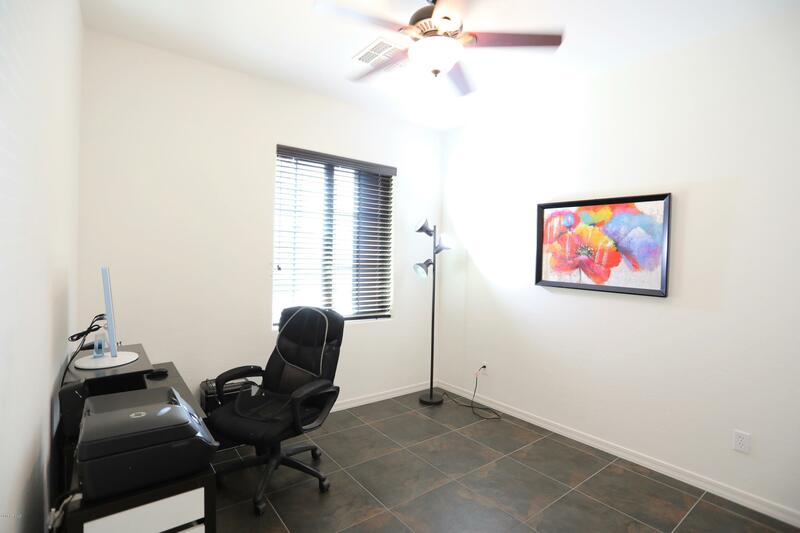 Small air conditioner and work bench installed in the single car garage. 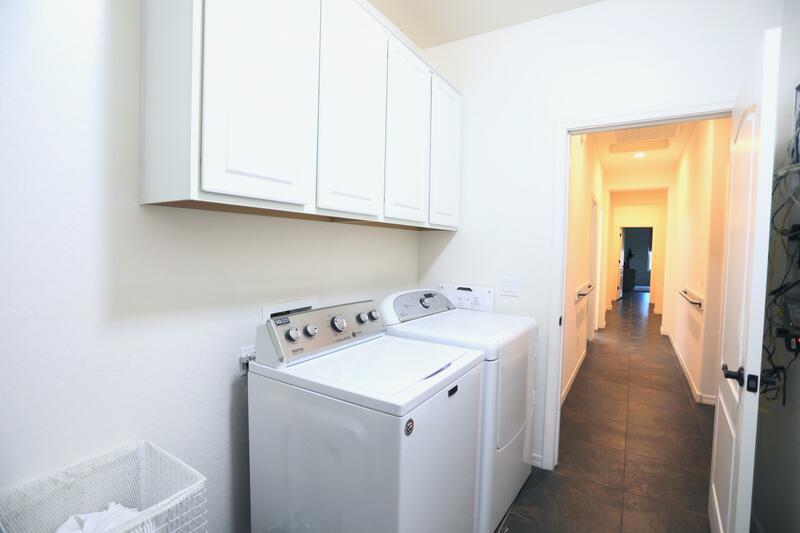 Newer washer and dryer to stay. 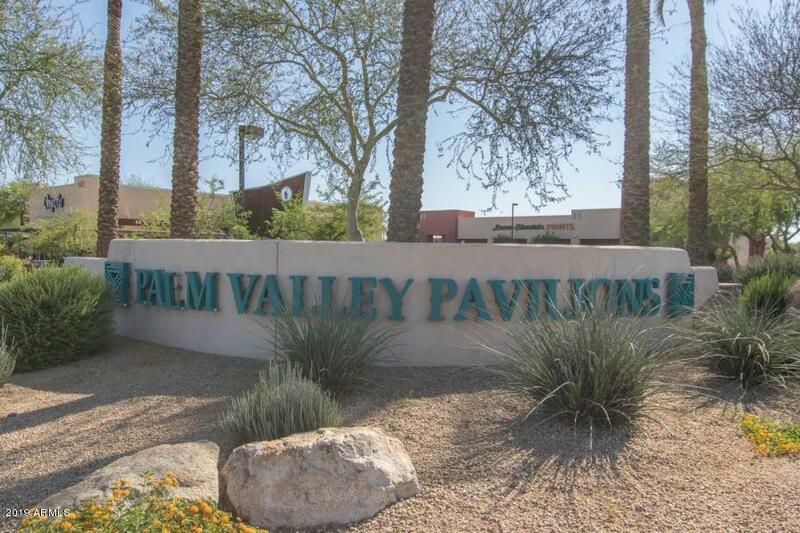 Gorgeous Palm Valley subdivision with community pool. 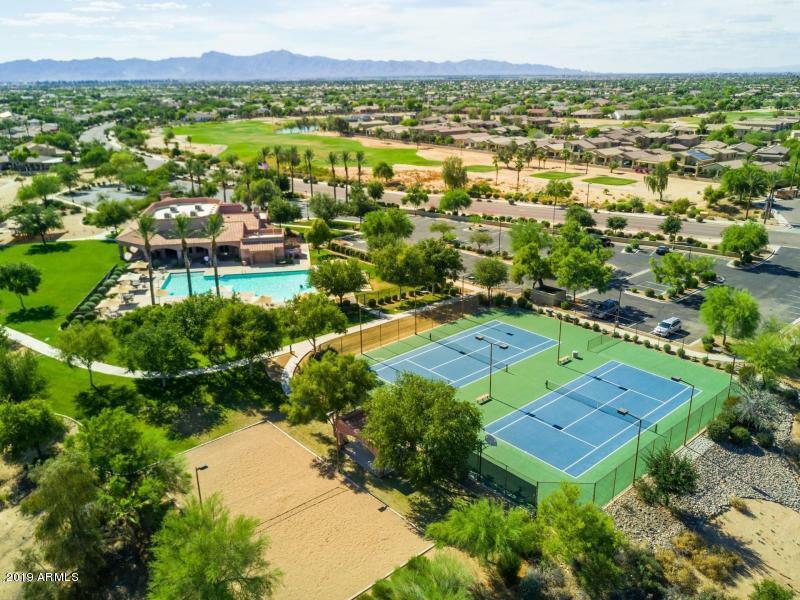 spa, tennis courts, and recreation room. 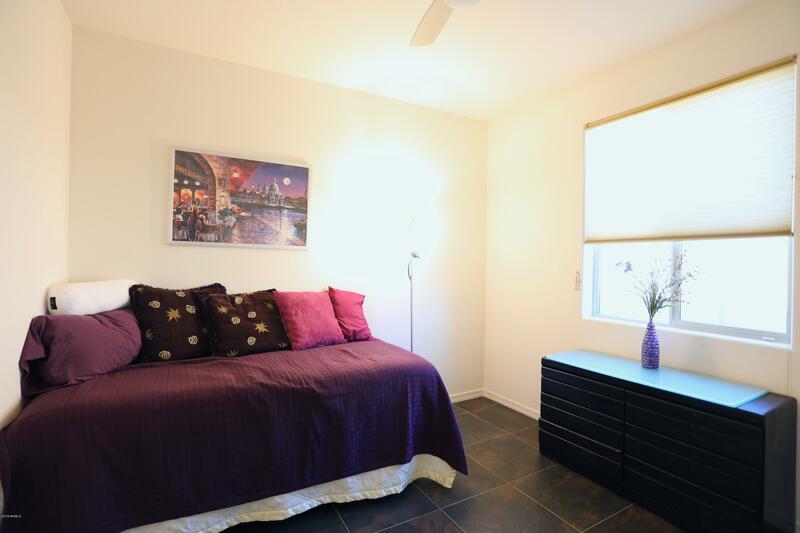 Come check this out, it's a must see!